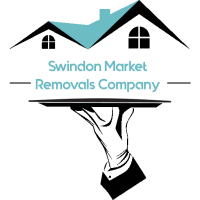 Leave a Comment on How to pick the moving service in Swindon? How to pick the moving service in Swindon? Why hire a moving service company? Hiring a moving service is absolutely necessary when you are relocating. Unless you live in a one bedroom house or a tiny flat, you can’t possibly avoid it. Packing and shifting may sound easy to you. Nevertheless, there are methods and techniques required for packing fragile items. You need to ensure they stay protected during transit. A moving service company is experienced and capable of handling all that. Choosing a local moving service is important in a city like Swindon. Only a local company can possibly know about parking restrictions, restricted access to particular residences and much more. Company insurances are mandated in the United Kingdom. 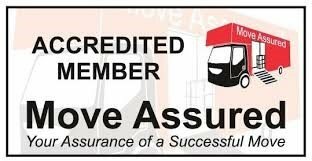 Make sure your moving service company provides best of insurances. Are you compensated if your move is being delayed? What are time limits on making your insurance claims? What are the claim limits per item? Try to answer these questions before hiring a service. Remember that the items you packed will not be covered by company insurances. You need to have realistic expectations with house removal. Brief your moving company service about special requirements. They do not account for expensive artworks, by default. Large items like piano or bigger wardrobes will require special care. Ensure that the company knows about the carpets and curtains you will take along. Let the company know about your floor plan when unloading items. Find the perfect moving company by asking them these important questions. Some of them can be asked directly to the company. A small portion of it is something you ask yourself. Don’t be hesitant to do the research. Will they be sending in a surveyor to take stock of all items to be moved? Will such a visit be free of cost? When letting you in on the pricing, will they about able to give you the exact price rather than estimate? Does the moving service include packing as well? Additionally, do they have storage facilities? You need to remember anything packed by you will not be covered by insurance. Enquire about payments in detail. Will the company accept bank checks? Is it otherwise going to cash or bank transfer or credit cards? Do they have a permanent office address and is it registered? Do they have a landline contact number? Do they give you a full written quote rather than putting everything in one category? More importantly, is it a fixed price, not affected by any sort of fluctuations? Will the company be able to provide references from past clients? Can they show good reviews and testimonies online? How much training goes on in preparing their staff? Does the company employ them or are they agency workers? Who takes responsibility of work injury compensation? Do they provide you with boxes ahead of the move? What sort of boxes will be provided? Usually, double walled boxes are stronger. Do they give you as much blankets and covers to safeguard larger items? These small things differentiate the good companies from mediocre ones?